The naval battery Nordberg (M.A.A. 5./503) is located on a mountain (Nordberg) inland. It was armed with 15cm guns which were mounted in open emplacements. All bunkers including the firecontrolpost are Vf Bauten. Lots of original German barracks remain. It's sort of an openair museum now and the bunkers are renovated with original fittings which are open to public from time to time. 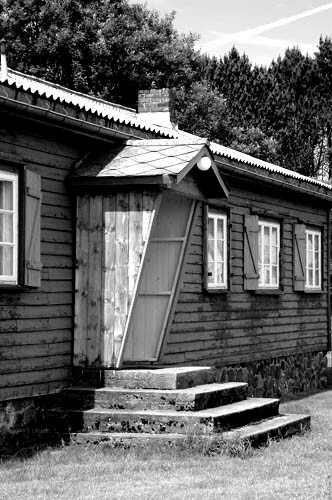 One of the many surviving barracks.